TEAM CAPTAIN: Mr. Kenneth W. Cunzeman Sr.
Its hard to believe its been 14 years since we lost Tess to pancreatic cancer. I think about her every day and greatly miss her. To honor her, our family held an event in 2006 called THE WALK FOR TESS. Over the years that event has grown and is now known as PURPLE STRIDE MARYLAND. 2019 will be the14th consecutive year for the event. More than 22,000 people have participated and over $2,400,000 has been raised to fund research, support patients and advocate for greater awareness and federal funding. Tess would be honored that an event started in memory of her has lasted so long, raised so much money, and touched so many people. Sadly, Pancreatic cancer still has the lowest survival rate of all major cancers, at just 9%. This deadly disease has stolen our best and our brightest, but it can’t take away our determination. Team Nana's Girls was formed in 2006 for the first event and every year since has stepped up to remember Tess and Wage Hope at PurpleStride, the walk to end pancreatic cancer. Will you help us honor Tess and rewrite the future of this disease by making a donation today? 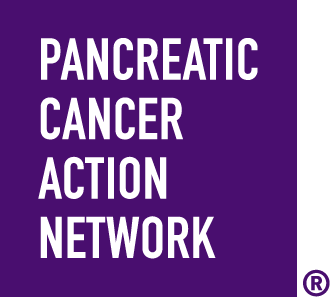 Every dollar you donate ensures that the Pancreatic Cancer Action Network can continue working to create better outcomes for pancreatic cancer patients and their families. By donating to Team Nana's Girls, you are supporting vital efforts to double pancreatic cancer survival by 2020. Mr. Kenneth W. Cunzeman Sr.